On July 11, 2015 the 20th anniversary of the Srebrenica genocide was commemorated across the globe. In 1995, during the war of disintegration of Yugoslavia, Bosnian Serb paramilitary forces led by Ratko Mladić, currently on trial at the International Criminal Tribunal on former Yugoslavia (ICTY) in the Hague, systematically killed more than 8,000 Bosnian Muslims (Bosniaks) over the course of a few days in the UN declared safe-zone of Srebrenica. The UN-mandated Dutch peacekeeping forces in charge of protecting the enclave ceded control to Mladic’s paramilitary forces, which committed what is widely acknowledged as the worst crime against humanity committed in Europe since the Second World War. The memorial cemetery in Potočari, across from where Dutch peacekeeping forces were headquartered at the time, holds over 6,000 graves today. Still, more than 1,000 people remain missing, hidden in secondary and tertiary mass graves, waiting to be uncovered and reburied. Political discourse in the region, and media attention regarding the 20th anniversary commemoration reveal that problems in this part of the world are far from resolved. Reconciliation remains a long way off. In early July, Russia vetoed a UN Security Council resolution aimed at acknowledging the Srebrenica events as ‘genocide’, while giving acknowledgement to all the victims of the conflict. Serbia fiercely opposes the use of the word genocide and Serbia’s Prime Minister Aleksandar Vučic rejected the resolution. Milorad Dodik, the President of the Bosnian Serb dominated Republika Srpska entity of Bosnia and Herzegovina even traveled to Russia to plead for a Russian veto. Operating out of geopolitical concerns to protect Serbia as its long-term ally in the Balkans, rather than to defend international justice, Russia vetoed the resolution, describing it as ‘anti-Serb’. The annual burial and commemoration ceremony at the Potočari Memorial Center attracted many politicians this year, as every year, including former US president Bill Clinton. Aleksandar Vučić, who was widely discouraged to attend after the UN Security Council resolution veto, nonetheless was also present. At the commemoration, rocks were thrown at him by angry individuals in the audience, in response to what they consider an empty political gesture, leading him to leave prematurely, and to a major distraction from the event at hand. In the end, his attendance resulted in what Eric Gordy (2015) correctly analyzed as “a really lousy memorial service“, discouraging reconcialition, politicizing and instrumentalizing the families and the victims in attendance, and offering little hope for building stability and reconciliation in the region. This political farce takes place against the backdrop of well established facts. By examining multiple sources of evidence, in 2004 the ICTY ruled Srebrenica a genocide. This legal decision also received political backing from the European Parliament, which in 2009 passed a resolution calling for 11 July to be considered a day of commemoration of the ‘Srebrenica genocide all over the EU’. This blog post is about a topic covered little by both media and academia: how the Bosnian diaspora across the globe mobilizes regarding Srebrenica. We argue that Srebrenica is a major driving force behind diaspora mobilization, but that context shapes how rememberance takes place, and that in the sphere of arts and culture rememberance is more likely to venture out of narrow ethnic boundaries. We build on two recently published articles in International Political Science Review and Nationalism and Ethnic Politics, annotated below. On the basis of a comparative study of Bosnian Muslims, Serbs, and Croats in the Netherlands, Koinova argues that the failure of Dutch peacekeeping forces (Dutchbat) to protect the Srebrenica enclave in 1995 is a traumatic contentious issue still alive in the Netherlands today. The trauma became deeply embedded in Dutch domestic politics via the co-occurrence of several factors. On the one side was what Zarkov (2002) called ‘the overwhelming feeling of Dutch soldiers and Dutch military stationed in Srebrenica, and the sense of humiliation of the Dutch nation, in the eyes of the world’. Traumatic diaspora experiences were further maintained by the geographical proximity of the Hague-based ICTY. Political discourse and media coverage, which over the years may have eluded public attention in other states, were kept alive in the Netherlands through debates regarding the capture and trial of major war criminals. The radical right party of Geert Wilders further contributed to the toxic mixture. Xenophobic and Islamophobic discourses exacerbated existential insecurities among the Bosniaks, who drew parallels between their current situation and the Bosnian war, which displaced them in the first place. As one respondent put it, ‘Bosniaks were earlier murdered because they are Muslim. Now they are attacked because they are Muslim as well’. Numerous Dutch government and societal initiatives were launched to approach the Dutchbat involvement in Srebrenica. These included a 2002 investigative report, which caused the then-government to fall, academic, reconsolidation and foreign aid programs. But such measures were aimed to reframe the political debate, not to apologize to the victims. The Bosniak diaspora resented the lack of interest of Dutch officials in the July 11 Srebrenica commemorations, and mobilized to pursue genocide recognition officially. Hasan Nuhanovic, a former UN interpreter with Dutchbat whose family was murdered in Srebrenica, launched what Dobbs (2011) called a decade-long ‘lonely campaign’ to ‘force the Dutch state to accept at least some responsibility for the deaths of his family members’. Some results occurred only between 2011-2014, after district courts, and the Supreme Court acknowledged the state’s responsibility and ordered it to compensate victims. Nevertheless, an uneasy relationship remains. In contrast, Serbs and Croats in the Netherlands, who were highly mobilized during the 1990s Yugoslavia wars, as were the Bosniaks, gradually ceded their sustained activities in the post-conflict period. While the Orthodox and Catholic Churches remain important institutions to organize these diasporas, the absence of a major contentious issue around which to mobilize has brought the demise or dissipation of existing diaspora organizations and their activism. The importance of this contentious traumatic issue is further visible when making a comparison with Sweden. In this country, which accepted many refugees from Yugoslavia during the 1990s, but was not contentiously implicated in the conflict, diaspora members have not mobilized against the state and have generally integrated well, showing more openness towards reconciliation and less posttraumatic attitudes. Karabegovic also studied diaspora mobilization in Sweden, in comparative perspective with the United States. In Sweden, Bosnians were more likely to be members of formal diaspora associations, unlike in the United States, where belonging was more individualized and not necessarily based on formal membership, even through religious affiliations. However, individuals in both countries shared a belief that genocide remembrance constituted an important part of their belonging to the Bosnian diaspora community. Both countries also served as sites of transnational cultural production though the Što Te Nema? (Why Are You Not Here?) nomadic monument. This monument is erected each year in collaboration with the local Bosnian diaspora community on the day of the Srebrenica genocide anniversary in a different city around the world. 2015 marked its 10th anniversary in Geneva, after previous placements in Istanbul, Stockholm, Toronto, and New York City, among others. The monument is built throughout the day by aligning fildžans, small cups out of which Bosnians traditionally drink coffee, in the center of a square. Coffee is prepared, in the traditional Bosnian style, and poured into the cups throughout the day. The number of coffee cups, all donated by Bosnians from around the world to the New-York based Bosnian American artist, Aida Šehović, symbolically represent the number of victims of the Srebrenica genocide. To date, close to 5,000 fildžans have been collected. As the public passes by, they are told about the reasons behind the public monument, the Srebrenica genocide, and asked to participate by placing coffee cups on the square, pouring coffee, and taking a moment to remember. Što Te Nema? attracts not only Bosniaks, but Bosnians of all ethnic backgrounds and genocide survivors. This year all collaborated on the project that the artist called an ‘antidote to genocide’ because it remembers though building community and collaboration. It is site of transnational cultural production through which the diaspora reclaims collective memory in the public sphere. It remembers and unites through the symbolic building of the monument, away from the politicized rhetoric of the homeland and the region, still dominated by nationalist narratives of political elites. Unfortunately, the politicized rhetoric often spills over to other contexts, and creates contentious episodes, alternative to peaceful initiatives such as Što Te Nema?. This year Geneva was both a site for the nomadic monument and of political grandstanding regarding the Srebrenica genocide. Former commander of the Bosnian Army in Srebrenica, Naser Orić, was arrested after arriving with a delegation from Srebrenica to attend the commemoration events in June. Swiss authorities acted on an arrest warrant for war crimes issued by Serbia, even though Orić was previously acquitted of similar charges by the ICTY. Ultimately, he was released and returned to Bosnia and Herzegovina, but only after tensions among victims groups abroad and within the region once again flared. Much like the Vučić visit in Potočari on July 11, the arrest of Orić created distractions from the main purpose of the commemorating events, namely to commemorate the victims, not to instrumentalize the occasion for political ends, whether in the homeland or in other countries. Što Te Nema? and other cultural initiatives such as concerts and art exhibitions demonstrate that diaspora mobilization is not only a nationalist affair. Contexts can shape how diasporas mobilize, and art can provide a non-politicized space to bridge narrow nationalist divides, incorporate ‘the other’, and work towards genuine reconciliation. The hope of the authors is that within the coming years regional politicians will move closer to embrace such reconciliatory attitudes in politics as well, which have been missing over the past 20 years. Dr. Maria Koinova is a Reader in International Relations and a Principal Investigator of the European Research Council Starting Grant ‘Diasporas and Contested Sovereignty‘. She is the author of “Sustained vs. Episodic Mobilization among Conflict-generated Diasporas” published in International Political Science Review in July 2015. Her articles on diaspora mobilization were published in the European Journal of International Relations, Foreign Policy Analysis, International Political Sociology, Review of International Studies, Ethnic and Racial Studies, and Communist and Postcommunist Studies, among others. 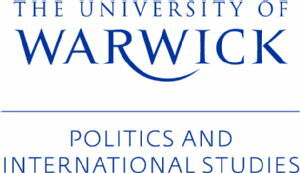 Dženeta Karabegović is a Ph.D. candidate at Warwick’s Politics and International Studies Department, working with the ERC project ‘Diasporas and Contested Sovereignty‘. She is the author of “Što Te Nema? Transnational Cultural Production in the Diaspora in Response to the Srebrenica Genocide” published in 2014 in Nationalism and Ethnic Politics, 20(4) 455-475. Prior to coming to Warwick, Dženeta obtained an MA from the University of Chicago, and a Fulbright Research Fellowship to work at the Hugo Valentin Centre at Uppsala University. Next Next post: An ‘Abe Doctrine’ as Japan’s Grand Strategy: New Dynamism or Dead-End?